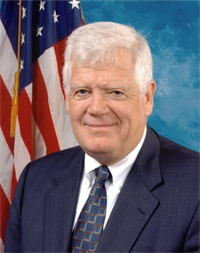 WASHINGTON, DC – Congressman Jim McDermott (D-WA) called for a halt to the planned closure of both the Social Security Downtown field office and the Chinatown-International District field office and their planned relocation to the Jackson Federal Building. Congressman McDermott sent a previous letter on June 20, 2011 regarding the consolidation of Social Security field offices in his district, and in it he expressed serious concerns that the proposed Jackson Federal Building may create barriers for the public in accessing services. According to the Social Security Administration Congressional Statistics for December 2011, 92,000 residents of the 7th Congressional District receive Social Security benefits and 17,600 constituents receive Supplemental Security Income. McDermott requested the moratorium on the closure of these offices and their relocation to the Jackson Federal Building to ensure every individual has access to the services they need. For the full text of the letter to Commissioner Astrue, click here.